Olayinka Celestina Opaleye appeared in a courtroom in Saint-Jean-sur-Richelieu Wednesday, to face charges under the Immigration and Refugee Protection Act. A woman has been charged with smuggling several people across the Quebec-U.S. border at Roxham Road in the summer of 2017, when there was an increase in the number of asylum seekers crossing on foot. Opaleye was arrested by the Canada Border Services Agency (CBSA) following an investigation. 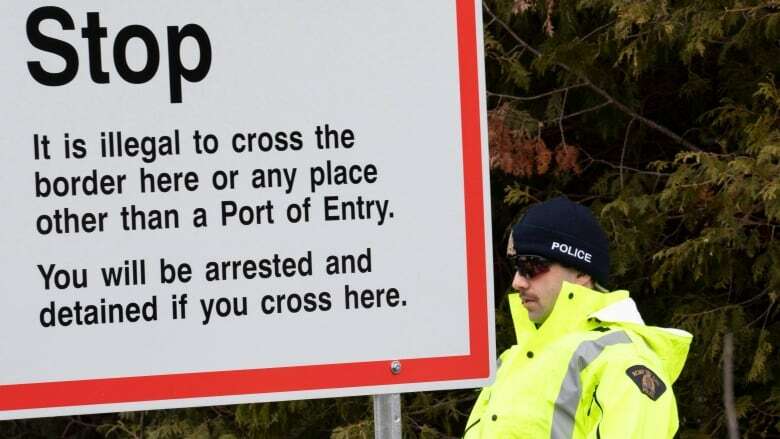 The CBSA believes Opaleye was "operating as part of a network of smugglers who organized travel for these people in exchange for compensation," the agency said in a news release Wednesday. CBSA spokesperson Dominque McNeely says the next hearing on the matter is March 27. It's unclear if other people were also arrested as part of the alleged network and how exactly Opaleye allegedly smuggled people across the border.